Description Fight up to 17 different enemies each with their own strengths and weaknesses, 6 bosses with their own unique special powers, while using as many as 72 different spells and abilities as you fight to become the ultimate loot hero! Over 200 weapons, armor and accessories for players to loot. 3 unique classes for players to choose from. Each of which encourage a different play style. 24 skills and abilities for players to unlock and an additional 48 upgrades for those skills and abilities. 17 enemy variations, each with their own unique skills and attributes. 6 different terrains/biomes for players to fight through. 6 unique bosses for every environment type, each with their own unique tactics and abilities. Over 35 achievements for players to unlock. 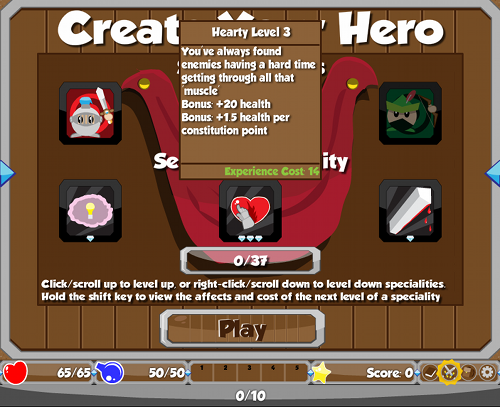 An out of game leveling system that allows players to unlock special perks to use when they next play the game.